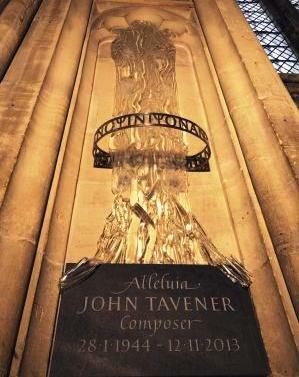 The Friends are delighted to grant aid a new sculpture in Winchester Cathedral honouring the late composer Sir John Tavener. The sculpture, in glass and stone, by Angela Connor FRBS, symbolises the spirit that flows through the walls of the cathedral and is installed in an alcove in the Retroquire. Our contribution of £6,000, through the Cottam Will Trust, made all the difference in meeting the fundraising target.